Lighthouses in USA have been helping in navigation for sea captains for many years. 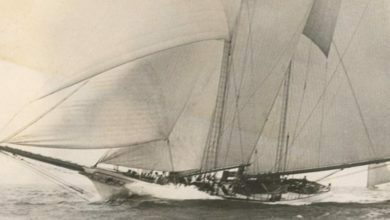 A large number of seamen get support due to lighthouses during sailing. These lighthouses also serve as warning signals against sea hazards. 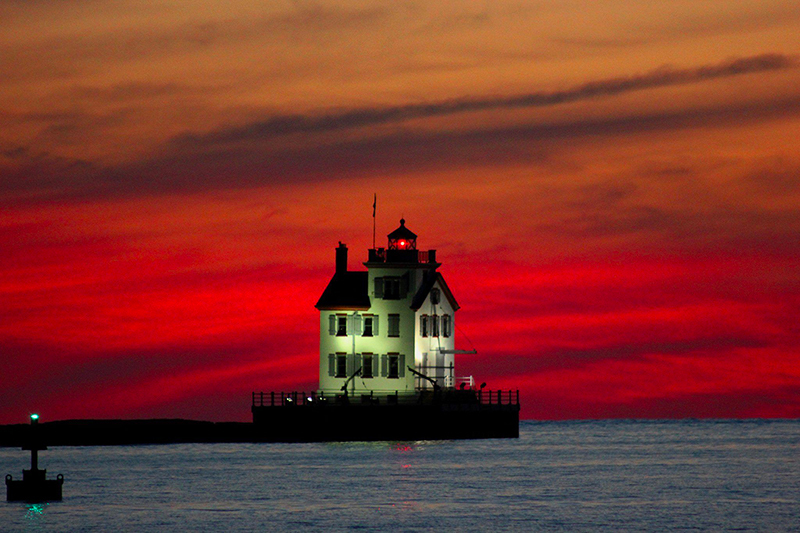 Some of the most attractive lighthouses of the world are found in USA. Lighthouses in USA which supported sailors for hundreds of years, now attract visitors from all around the world. No matter which part of USA you are visiting, you are going to find a lighthouse there. Each lighthouse in USA has its own unique structure that is worth a visit. If you are planning to visit USA anytime soon, we recommend you to spare some time and visit some of the stunning lighthouses this country has to offer. See below our list of top 7 lighthouses in USA that you must see at least one time in your life. 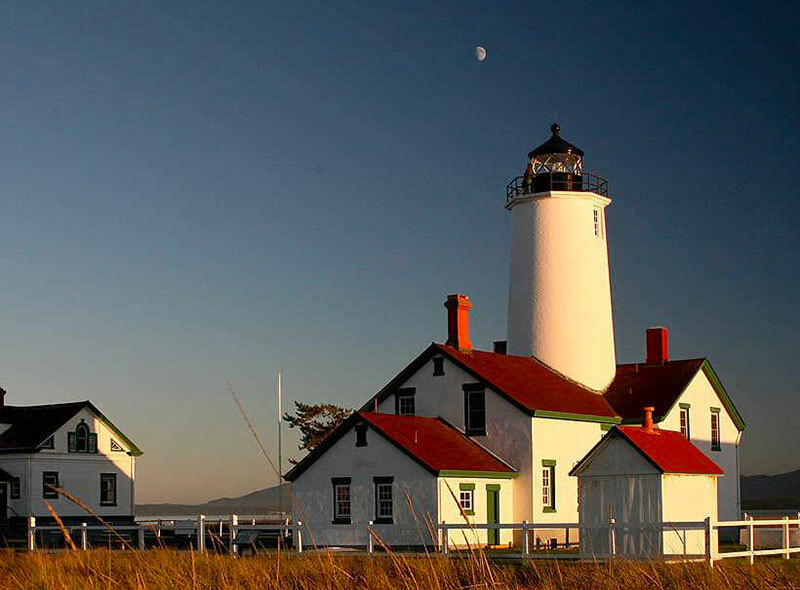 The New Dungeness Light Station in Washington has served as the main lighthouse for sailors for more than 150 years. The lighthouse is taken care of by volunteers who spend a week here all year round. You can also get this amazing opportunity of taking care of this lighthouse by working as a volunteer. As a volunteer, you’ll get a chance to perform a number of duties including light maintenance and organizing tours. Even if you don’t want to volunteer, you can simply visit the lighthouse and enjoy its breathtaking view. The Lorain Lighthouse was saved from demolition in 1960s and today, the lighthouse has become one of the most important landmarks of Lorain in Ohio State of USA. Due to its unique structure and beautiful surrounding, the lighthouse is also known as the “Jewel of the Port”. The lighthouse was first constructed in 1837 and since then, it has been rebuilt twice until 1908. 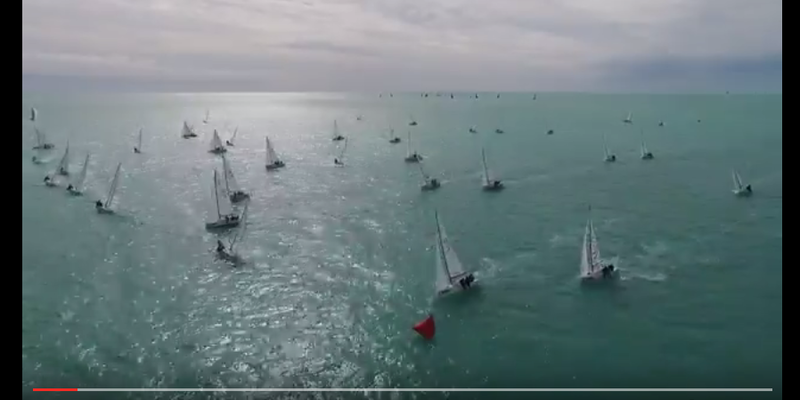 The lighthouse is the perfect spot for all the sailing enthusiasts. You can enjoy boat tours to the lighthouse during the summer months. The Eldred Rock Lighthouse in Alaska is a must-see landmark due to its unique structure and jaw-dropping scenery. This octagonally shaped lighthouse is situated on a breathtaking setting of a small island amidst the snow-capped mountains. 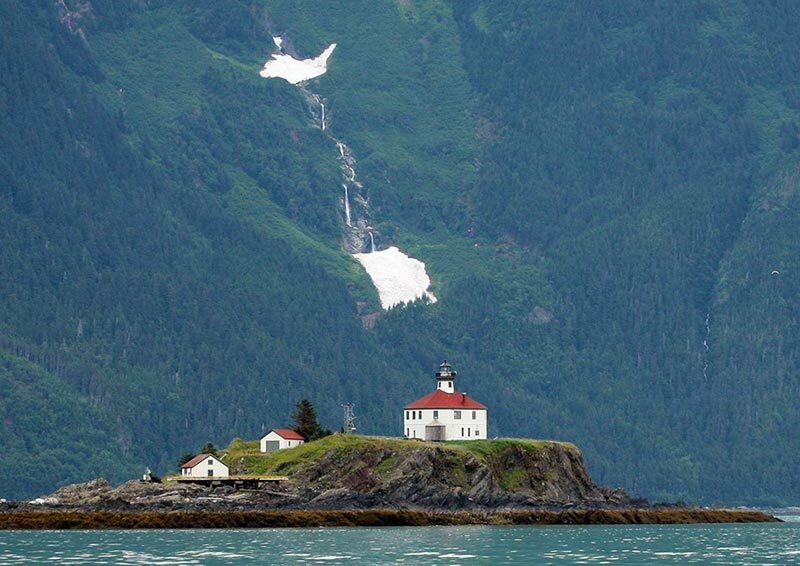 The Eldred Rock Lighthouse is the oldest in Alaska which was lit for the first time in 1906. If you wish to visit this island, we recommend you to take a boat tour which will let you get close to the lighthouse as you cannot walk or go inside. You can also opt for the helicopter tour and view the incredible lighthouse from the sky. This unique black and white colored lighthouse had replaced its old structure which was destroyed during the Civil War. This lighthouse is the third island constructed in Bodie Island. You cannot only see the majestic lighthouse from far away and admire its structure, you can also climb its 214 steps. 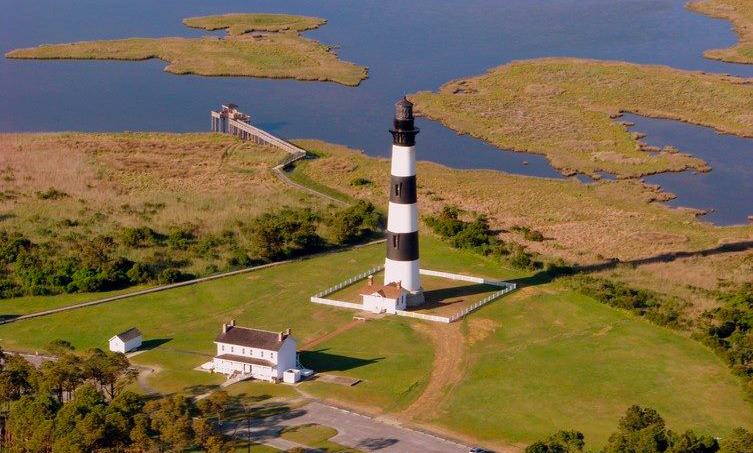 Once you are at the top of the lighthouse, you can witness the surreal views of Pamlico Sound. Make sure to visit the keeper’s home which is now serving as a visitor center. Pigeon Point Lighthouse is undoubtedly one of the tallest lighthouses in USA standing at about 115 feet above the ground. The lighthouse was named after a ship “Carrier Pigeon”, which was crashed off the bay in 1853. The quarters of the lighthouse are now serving as a hostel. You can not only visit the lighthouse but can also stay here for a night or more especially if you want to capture the breathtaking site of milky way at night. Though the tower is not working anymore, visitors can opt for guided history tours or even take stunning long-exposure photos. Portland Head is a magnificent lighthouse located on 5-mile drive from Portland in Cape Elizabeth. 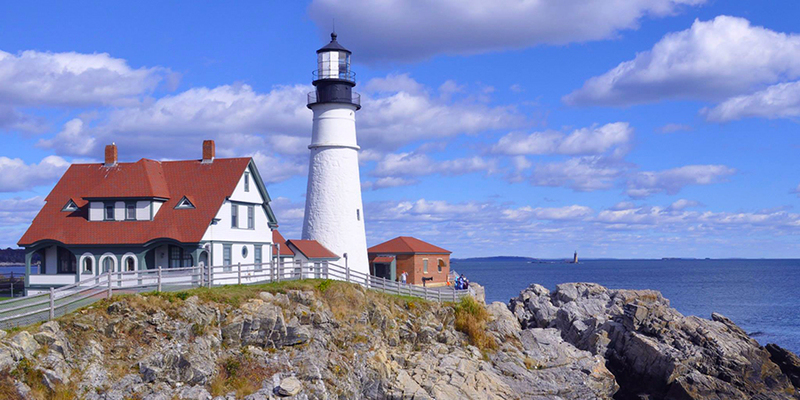 This lighthouse is the oldest in the state of Maine. This incredible lighthouse which dates back to 1790, stands about 80 feet above the ground and around 100 feet above water. While all the ancient lighthouses in the state were rebuilt, Portland Head Lighthouse is one of the few lighthouses that has not been renovated. 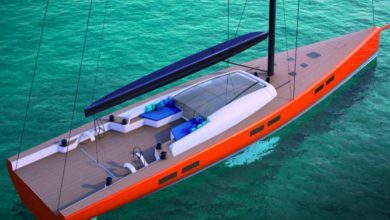 The lighthouse is surrounded by ocean and lush greenery which makes it a perfect site to visit in USA for the sailing lovers. Last but not the least on our list is this incredible Heceta Head Lighthouse located on Oregon Coast in Yachats which was constructed in 1894. The lighthouse is surrounded by breathtaking setting of forest, cliffs and ocean. The lighthouse was given its name after a Spanish guy named ‘Bruno de Heceta’ who was sent to explore the region in the 18thcentury. 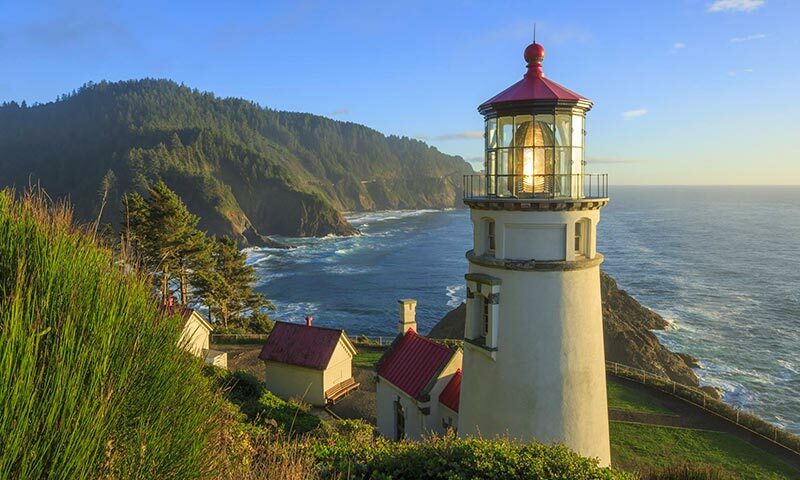 The Heceta Head Lighthouse is standing at about 205 feet above the ocean. 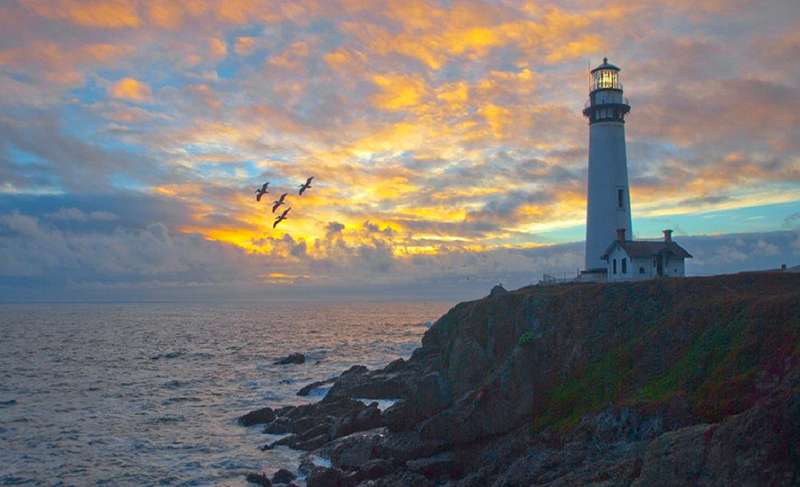 Considered as one of the most stunning lighthouses in the world, this lighthouse is a must-see attraction in USA.